Jadwiga Emilewicz is Minister of Entrepreneurship and Technology. Poland has already taken on these air pollution challenges, acting for improvement of air quality. We are the first to tackle the smog problem systemically. We have made the diagnosis and have a package of comprehensive actions we are consistently implementing. 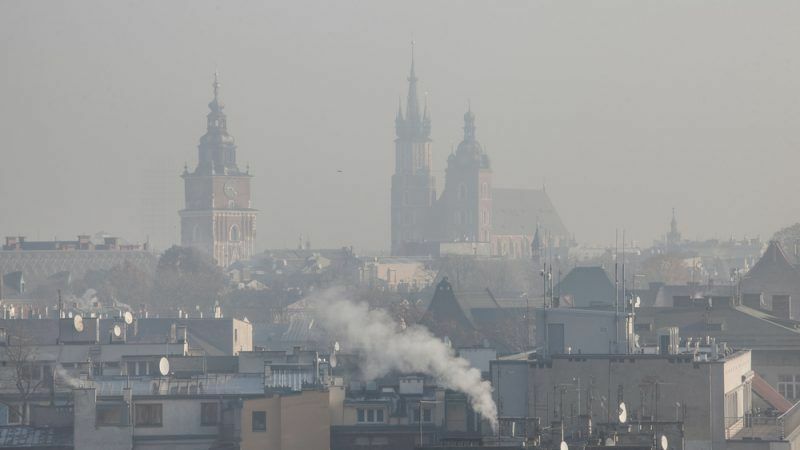 We conclude that the three key issues for improving air quality in Poland are: (1) amendments to the laws, including prohibition of sale of stoves that do not meet emissions standards and implementation of quality standards for solid fuels, (2) a benefits package for low-income households, (3) improvement of energy efficiency of residential buildings. We have already implemented emissions standards for solid fuel stoves, used for burning wood and coal, heating the houses of millions of Poles. At present, no stoves may be manufactured in Poland that fail to meet the rigorous criteria on the reduction of emissions of harmful substances, and as of 1 July 2018, selling stock of those manufactured before the law was amended will no longer be allowed. We are also introducing legal regulations on the quality of solid fuels, aimed at eliminating the most polluting solid fuels such as coal slurry and float concentrate from the residential sector. We are commencing a general programme of thermal modernisation of residential buildings. In 23 cities from the WHO list of 50 most polluted cities of Europe, houses of low-income residents will be thermo-insulated. Thus, their heating bills will be drastically reduced. At the same time, we are collaborating with conurbations to allow development of individual programmes adapted to regional needs. Thermo-modernisation of single-family houses owned by low-income citizens was considered by World Bank experts, commissioned by the European Commission to develop a report on combating low stack emissions in Poland, as one of the most effective and rational tools contributing to the improvement of air quality in Poland. This direction is also confirmed by the report that points to the sources of air pollution, developed by the Polish Electricity Association, who represent the electricity sector in Poland. According to the report, the top culprit behind bad air quality in Poland is not the utility energy sector but individuals burning low-quality solid fuels to heat their homes. It confirms to us that the most pressing issue is to resolve the problems with low-quality stoves and fuels as well as thermal insulation of houses, particularly for those in dire need of support. The thermo-modernisation programme will thus not only allow a contribution towards the reduction of harmful atmospheric emissions, but will also result in the significant improvement of Poland’s energy efficiency in the non-ETS sector. We are aware of the fact that the fight for clean air must be fought on multiple fronts and will go on for many years. The ultimate victory will also require many allies, both in Poland and in Europe. Only with joint efforts and coordination of all commenced initiatives, will we be able to improve air quality. Thus, our biggest challenge – over and above implementing the relevant legal regulations – will be to arrive at a common denominator and streamline the flows of central government’s and local governments’ funds. Our goal is to optimise the spending of all public funds available under the 2014-2020 financial framework to improve air quality in Poland. These experiences will also be leveraged when agreeing with the European Commission on the rules for spending EU funds by Poland during the next 2021-2027 financial framework. However, neither standards nor laws, nor money will suffice without knowledge about, and awareness of, the problem that air pollution presents. Therefore, a complementary action to those referred to above has to be that of raising the general public’s awareness of the lethal impact that smog has on our lives and also providing information about what mainly contributes to the formation of smog and how it may be prevented. This is why all initiatives supporting our fight for clean air are important. One of them is the “POWER SECTOR for air quality” campaign. Its organisers – in order to reach the broadest audience and deal with the air quality problem even more extensively – are operating not only centrally, but also regionally. This is why electricity sector experts are meeting with the media and organising debates with local communities, during which they present the most cost- and environmentally-friendly solutions for house heating. In this way, they are reaching out to the Poles directly and explaining clearly how the recently introduced anti-smog tariffs work. PKEE is also planning a series of educational activities at schools to help with additionally forming pro-environment attitudes among children. The fight against smog requires time and a comprehensive approach, but it is worth it. For the government, the health of people and better quality of life are top priorities. We are counting on the initiatives we are ramping up to bring tangible effects within several years and to allow us to proudly declare that we have managed to give all Poles the possibility to enjoy clean air.